Due to the sheer level of usage, if you bought it two years ago, it will need replacing this year. You may think that the couch in your home gets more usage than the one in your reception area, but you’d be wrong. Even when purchasing commercial grade carpets and textiles, they will wear out sooner rather than later. Periodic maintenance is key to prolonging the life of your equipment. It is expected that your hot water heater, HVAC system, restaurant grade stove and refrigerator will go kaput faster than residential machinery. When it’s time for a replacement, contact Junk Removal of STL to make room for the new and improved. The types of businesses we work with run the gamut. We’ve worked with academic institutions such as Washington University and St. Louis University. Square, Microsoft and Boeing are some of the tech and aeronautical institutions that have requested our services. Within the medical industry we have removed junk for St. Louis University Hospital, Mercy and SSM Healthcare. Wells Fargo, Edward Jones Investment and BMO Harris Bank are just a few of the financial institutions that remain on our roster. You don’t have to be a Fortune 500 company to get our attention. There is no job too big or too small for us. It is our pleasure to service mom & pops. A thriving business is an efficient business. To excel, you must be proficient in every way. Unwanted items that take up unnecessary space is not cost effective. Valuable space can be used for useful equipment or another office or production space. An uncluttered space sends the message to employees, potential investors and clients that you are organized and run a tight ship. When people work in a clean environment, they feel supported and valued. This translates directly to productivity levels. A disorganized space with dirty furniture and broken equipment has the opposite effect and will ultimately effect your revenue. 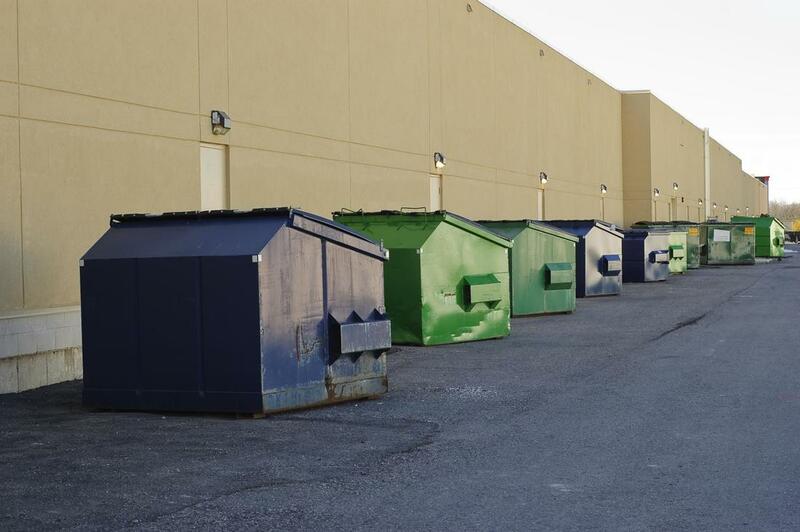 We have 3 truck sizes and 4 dumpsters sizes varying from 10 to 20 yards. Our company possesses the capacity to remove any equipment, machinery, hardware, furniture and rubble that you may have. In the past we have hauled metal debris, old HVAC systems and industrial equipment. Furniture, plumbing pipes and kitchen equipment have been removed for a nominal fee. Our clients appreciate our professionalism and prompt arrival and departure times. We work fast but methodically. To learn more about our commercial removal services, please contact us today. A successful business moves at lightening speed. Once a decision is made, all parties come together to facilitate precise execution. We recognize the ability to move quickly as a strength. When you contact us, a team will be dispatched right away. In most cases, our crew can complete your project that afternoon if contacted in the morning. Due to the amount of trucks and dumpsters within our fleet, arriving the same day should not be a problem. If we happen to be booked, the receptionist will make sure that we begin your job the very next day. Fees are calculated by weight, difficulty and scope.